If you’re not familiar with Waze, it’s the world's largest community-based traffic and navigation app. Join other drivers in your area who share real-time traffic and road info, with the goal of saving participants time and money on their daily commute. For example, with Waze you can be alerted before you approach police, accidents, road hazards or traffic jams. The app does so by sharing information provided by other drivers using Waze. Up until now, you’ve had to use your tablet or smartphone when using Waze in your Ford car, truck or SUV. That’s all changed. Ford and Waze have teamed up to bring the world’s largest community-based traffic and navigation app to the automaker’s lineup via your iPhone. For owners of Ford SYNC 3-equipped vehicles, this allows easier access to Waze features such as determining the most efficient travel route, locating the lowest fuel prices, and reporting traffic accidents to other drivers. 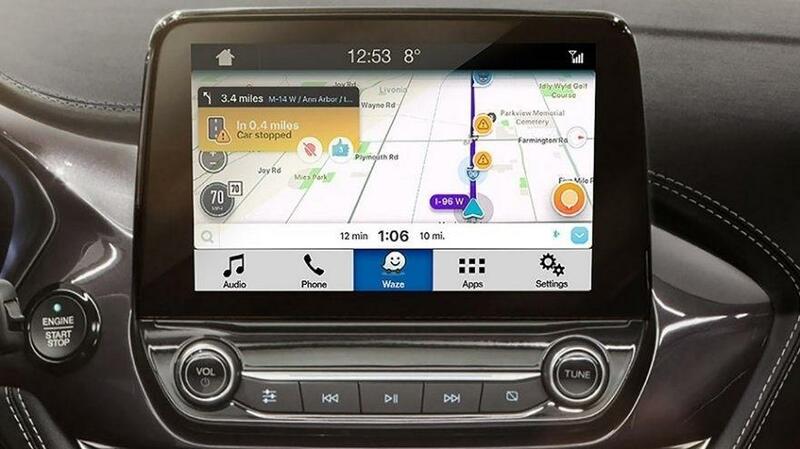 To integrate Waze, drivers simply connect their iPhone with the Waze app loaded to the USB port of their Ford vehicle and view the service as it is displayed onto the vehicle’s touch screen. 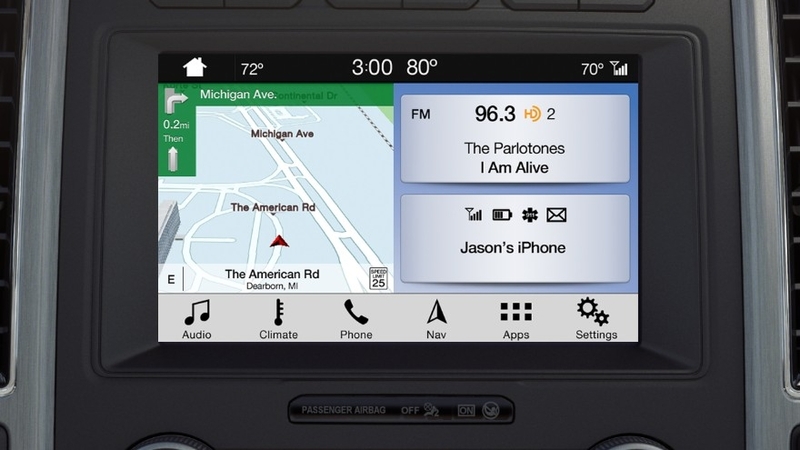 With Ford SYNC AppLink, drivers can now view Waze on a larger display and as well as access voice guidance through their vehicle’s speakers and microphone system. To deliver optimal driving directions and traffic updates, Waze uses crowdsourcing to gather information about road conditions from all of its users. People simply type in their destination and drive with the app open to contribute data to Waze’s community of users. At the same time, people can take a more active role by sharing reports from the road, including notifying the community of accidents, hazards or route changes that were previously unknown. By working together, the aim is for people to help each other improve the quality of their commute. Waze can help commuters avoid congested roads in favor of other routes, or see when their friends are expected to arrive at their destination. Users can even help each other save a few dollars by sharing fuel prices as they travel, allowing people to navigate to the cheapest nearby station. To access Waze on AppLink in your Ford vehicle, you’ll need SYNC 3 software version 3.0 or greater installed in your vehicle. You’ll also need to be running iOS 11.3 and the Waze CarPlay app downloaded on your iPhone. For more information on the Waze Sync 3 app, or need assistance in integrating your iPhone with your Sync 3 system, stop by your local Southern California Ford Dealers and they’ll be happy to answer your questions and assist you if you desire.